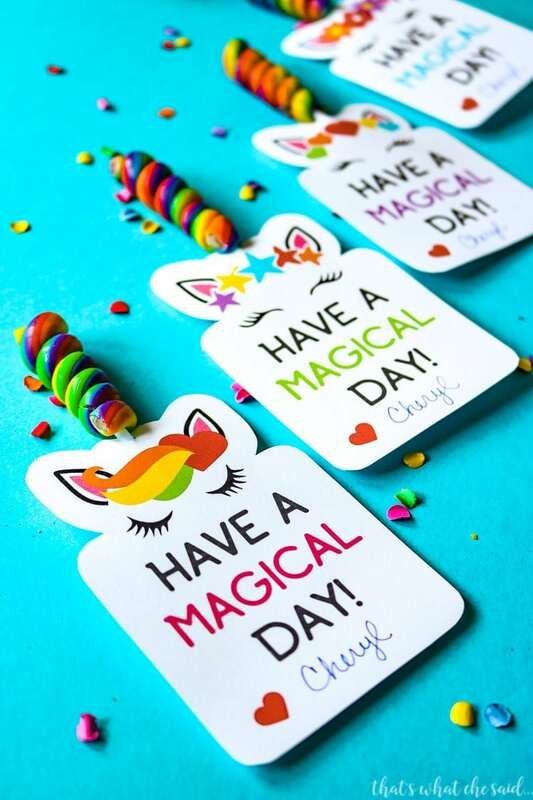 Have a Magical Valentine’s Day with these Unicorn Printable Valentine Cards! 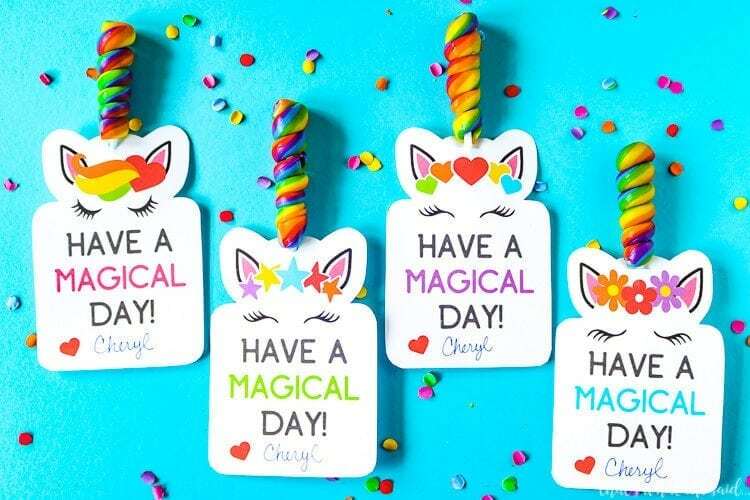 Print them off and add these adorable twisty lollipops and you have the cutest class valentine! UPDATE: I have added a non-candy version/option below! Yay! UPDATE 2: I have added a Silhouette Print & Cut File as well! Yay yay! Having three boys I tend to stick to more of the boy stuff but I always, always take the opportunity to make something adorable and magical! 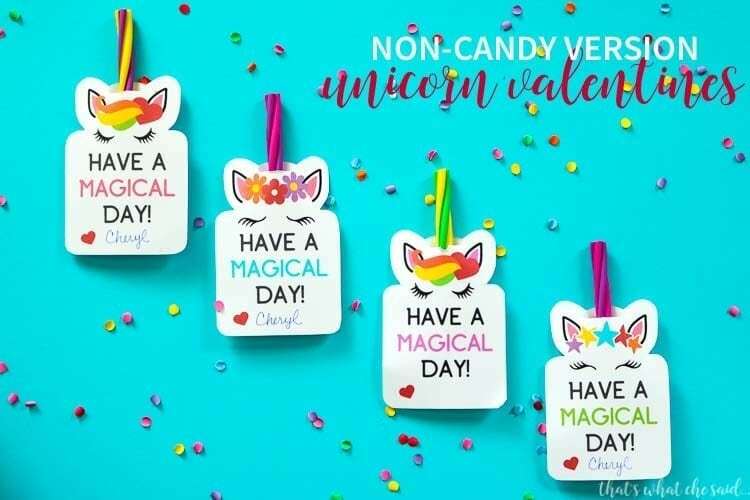 If you have a unicorn lover in your life these unicorn printable valentine cards will be perfect for them! It took me a bit of trial and error but I finally was able to design a card that you can either hand cut or you can use the print then cut feature of your Cricut! You know I love options! *I use the HP Envy 5540 Wireless All-In-One Printer and signed up for HP Instant Ink. I highly recommend this! Never run out of ink at 11 pm when you have to print out your kids report, or when you have to print these valentines out the night before your child’s class party…because let’s face it…#procrastinatorsunite. Start out by printing out the Unicorn Printable Valentine Card on white cardstock. Using scissors, carefully cut along the faint grey outlines. 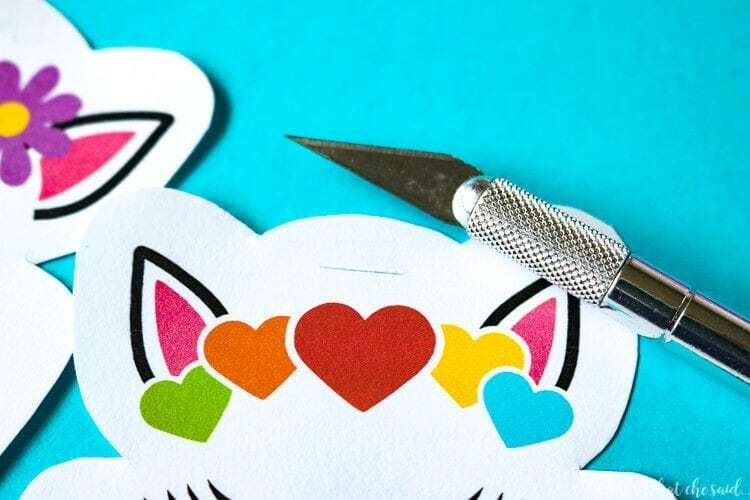 With an Exacto knife make a small slit at the top of the Valentine card for the stick of the lollipop to pass through. You may also use a hole punch. 1/8″ size punch works best if you get the lollipops I recommend above! Have your child sign their name next to the bottom heart. 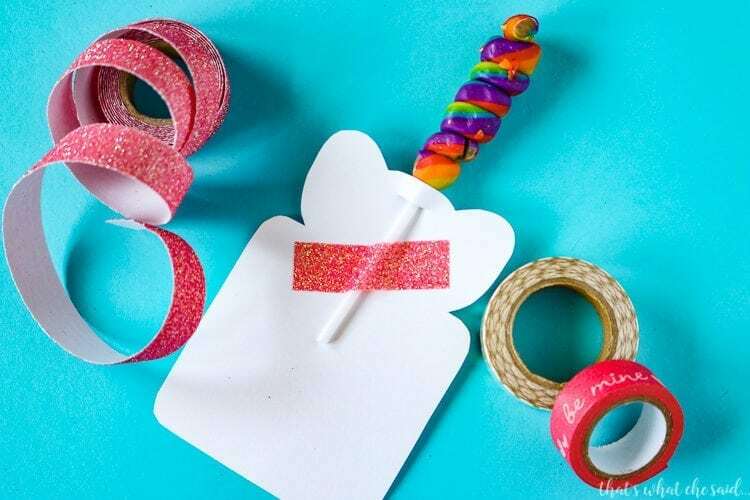 Insert the Lollipop through the opening and tape the lollipop stick to the back of the valentine card! 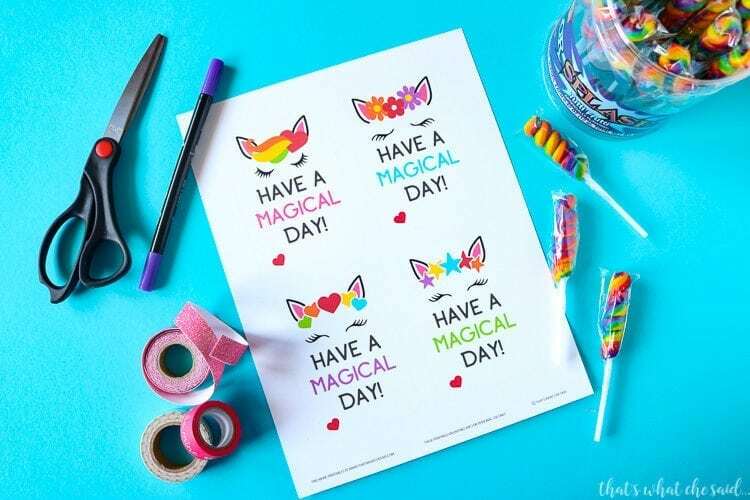 What’s not better than glitter washi tape? Now you have a magical Unicorn Valentine!! 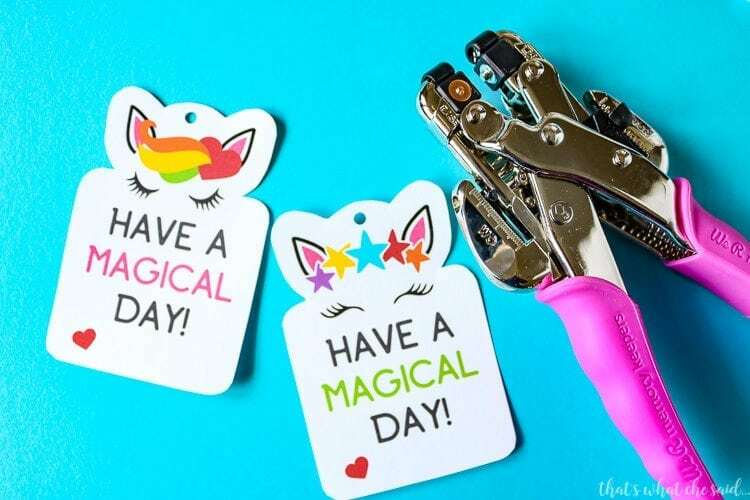 For this Valentine, you will cut the same as above however when you make your cut in the valentine to insert the eraser you will need to make the slit longer to accommodate the thicker eraser. I was able to easily cut the erasers in half for these valentines. An order of 12 erasers yielded 24 valentines. Apply tape to the back as described above. 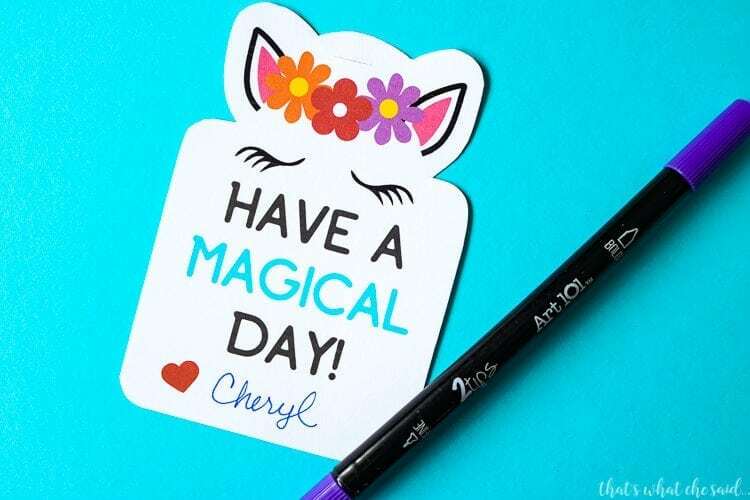 If you choose to use your Cricut Machine, you can find the .JPEG file below to use with the print then cut feature of Design Space. The holes for the lollipops will be cut by your machine as well as the outline of the valentines! To download, click the blue DOWNLOAD link and either enter your name and email if you are a new subscriber OR if you are an existing member you may enter the freebie password. New members will be emailed the password for future downloads. The Unicorn Valentine will download instantly to your computer. Commonly you will find the file at the bottom of your browser screen or in your downloads folder. NOTE: Readers have been telling me that the download is not working for them with the form above. It is working perfectly for me and everyone I have asked to try it so I am honestly not sure what’s going on?! Even my IT guy is baffled! If the above form doesn’t work for you, try this one below and let me know! Thanks! More great Valentine’s Day Projects can be found here including Cut Files, Printables, Sweet Treats, Home Decor and more! THANK YOU so very much for helping me with my Silhouette Cameo issue – I greatly appreciate it!!! Thank you so much for this! My daughter wanted unicorns and I haven’t done much paper cutting with my cameo! You are so nice to make this free! She loved how they turned out! I am so happy to hear Barbara! You are so welcome! Have a great week! Thanks so much for including the Silhouette version. 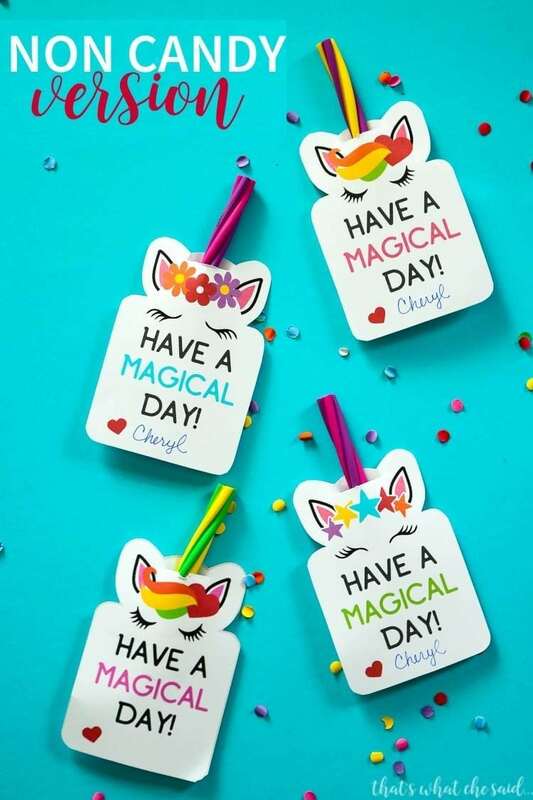 This will be perfect for my unicorn-loving 3rd grader! Apparently, Chrome isn’t working either. I had to use Firefox. Thank you very much! I love this so much! Wish I could share a photo of my grand-daughter’s version. Perfect! Thanks Cathy! You can always post pictures on my facebook page or email me!